IT job growth slipped late last year, according to an analysis of U.S. job numbers, but they're still trending upward. There was a net increase of only 6,100 IT jobs added in December across four industry segments, research firm Foote Partners found in its analysis of data from the U.S. Bureau of Labor Statistics. This number pales in comparison to the 11,300 jobs added in November and the 16,300 jobs added in October. Foote said the December numbers were troubling, and it was the second-worst month for IT employment in the entire year. (June saw only 5,800 jobs added.) In fact, it's less than half of the average of 12,300 IT jobs added every month in 2015. "It was a volatile year for IT job growth in 2015 with big swings month to month," Foote Partners chief analyst David Foote said in a statement. For the year, there was a net increase of 147,600 IT jobs, as opposed to 144,000 jobs in 2014, Foote Partners said, adding that there is traditionally a jump in labor demand in January after a dip in December. IT job growth the first 10 months of 2015 had risen about 7 percent compared to 2014, then the last two months of the year pushed annual job growth down to 2.5 percent. Two segments -- computer systems design/related services, with an average of 6,842 jobs added per month, and management and technical consulting services, averaging 4,400 new jobs -- accounted for 93 percent of all jobs added to U.S. payrolls the past 12 months, Foote Partners said. But for December, these segments respectively added only 3,000 jobs and 4,200 jobs. 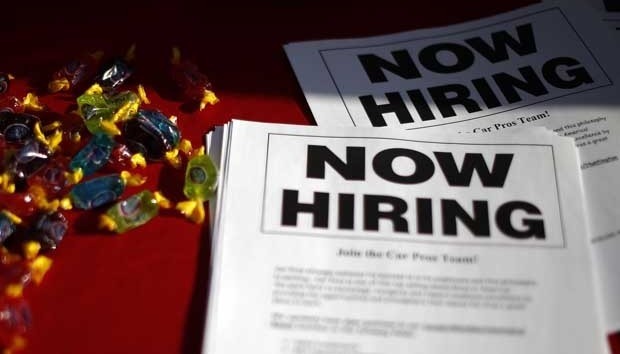 The two other IT hiring segments, telecommunications and data processing, and hosting and related services, respectively lost 900 and 1,000 jobs last month. IT hiring generally has been a bright spot in recent years. IT jobs site Dice.com last summer reported a tech industry unemployment rate of only 2.1 percent.